For the third year, archaeologists and forensic geneticists in Skuteč have been searching for local descendants of people whose skeletons were discovered during archaeological research on the medieval burial grounds of Lažany and Podlažice. Scientists want to find out how far the rural population has been rooted in the region since the Middle Ages. Research is led by renowned archaeologist Jan Frolík. However, this time archaeologists only have their proven tools not enough. They therefore work similarly to forensic genetics forensics who are able to find out where the people living in us thousands of years ago came from and what they had the color of their eyes or hair. "We perform the analysis by collecting DNA samples painlessly from the oral cavity. We will determine the degree of genetic kinship, especially the geographical origin of maternal or paternal lines. We follow the father's chromosome Y and maternal mitochondrial DNA, "said Simon Dalihod, a researcher of the forensic DNA researcher. Those who wanted to engage in the research had to fulfill the condition that his ancestors were buried in the Lažany or Podhradí cemeteries or live in Skuteč in the third generation. According to archaeologist Jan Frolík, the comparison of DNA from hundreds of years old skeletal remains and today's people is of no benefit to the archaeologists themselves. "When you tell the old men that their ancestors lived in the same place eight hundred years ago, you will consolidate their relationship to the past. 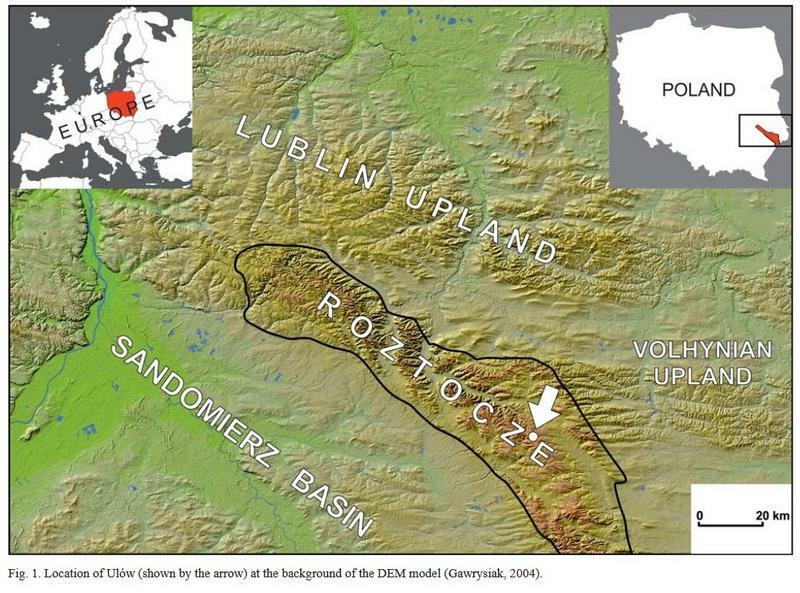 Thanks to this research, I was able to send Mr. Dušanek from Bavaria a photo of his 800-year-old ancestor from Podlask, some time ago, "Frolík told the DNA of skeletal remains in a recently-buried burial ground in Podlažice with a living man. Therefore, archaeologists can not wait to see the results and comparison with last DNA samples last week. From research in Lažany and Podhradie, they promise that such a consensus could be even more. "We think that a match similar to the Dušanky in Podlažice will be found here as well. Realistically, the enclave is more or less closed. We expect that the local mobility of the inhabitants will be even smaller than in the case of the Floors. But let's surprise, "said archaeologist Jan Frolík. Scientists collecting DNA samples in Chrudim began in 2015. First, they focused on the Podlažice, which are renowned for the defunct Benedictine monastery, made another take-off in 2016 in Předhradí and the last samples were taken last week in Skutč. 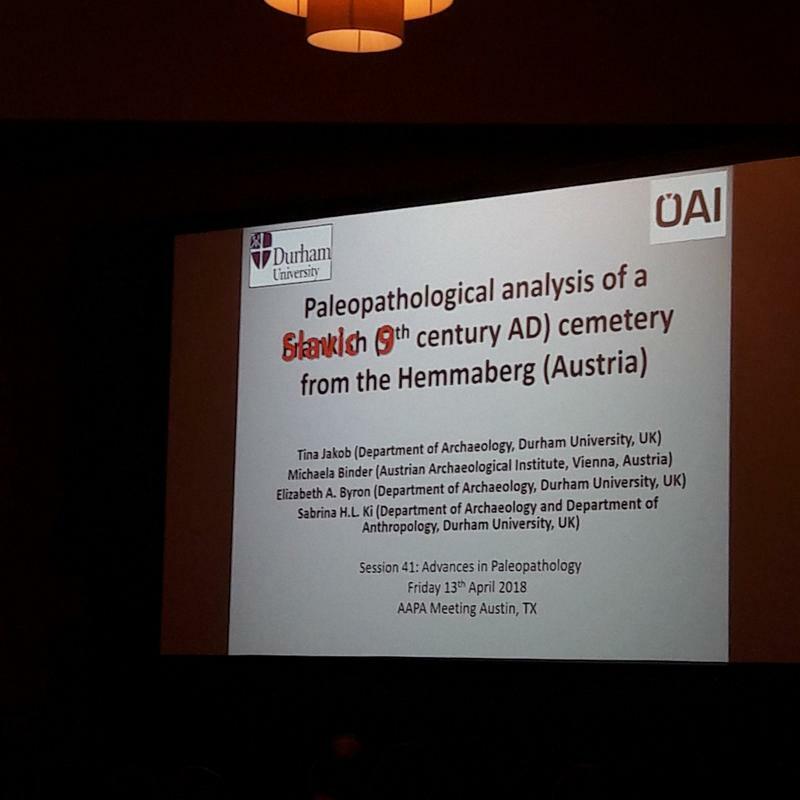 The research, which is part of the larger project of Archeology, Bioarchaeology and Genetics at the Cemeteries of Prague Castle, Central and Eastern Bohemia, has involved more than fifty old-school students in Skuteč. Last edited by Waldemar; 03-08-2018 at 12:24 PM. The Prague Castle is not only a collection of churches and ruler's palaces. Ostroh nad Vltavou is also an important burial ground. And one of the most unique graves in Bohemia, found in the 20th of the last century on III. the castle courtyard, has now given an interesting testimony. The man, buried in the second half of the 9th century with a warrior's equipment, was most likely Viking. This has been proven by modern scientific analysis. "The analysis of two of his teeth showed he had come from the north or Denmark. So it's almost certain he's really viking. Now scientists in German Jena are still studying his DNA, "said Jan Frolik of the Academy of Sciences' Archaeological Institute. The analysis of the remains of the swordfighter is part of an unprecedented extensive survey of dozens of skeletons found in Prague and Central and Eastern Bohemia. Such a project is unparalleled in the world. Using the most modern methods, researchers find out not only what kind of European population people buried in the 9th to 12th centuries genetically belonged to and from where they came to Czechia but also what they ate or what disease they died thousands of years ago. In the elite graves, he tries to determine who the real is. The bones of the ruling Přemyslids and other high-ranking people of that time are also being studied. Around fifty-year-old fighters were definitely ranked in the then elite, apparently part of the prince's squad. The fact that he belongs to the dreaded Nordic tribe is unique and proves that even in Bohemia these famous warriors served the rulers. In addition to the written sources, Czech scientists are finally indisputable proof. In legends, there are two Viking names appearing: Tuna and Gomon, Princess Drahomira's companions, and Lord Ludmila's murderer. "For when the handmaid of Christ, Ludmila, as we have said before, has removed from the eyes of the traitors, he is persecuted again in the castle where he has resorted. The said Duchess, some of her princes, sons of iniquity, named Tunn and Gommon, sent a strong band to Tetin to kill her mother-in-law. " Experts have surprised some results. Most importantly, there are predominantly people in two rural cemeteries - at today's Powder Bridge in Hradčany in Prague and in Žabonose in Central Bohemia - who have not been born and somewhere here. Now scientists are trying to figure out where. "In Bohemia, then, the movement of people was greater than we can imagine, and perhaps a little different than a man would have assumed straightforwardly. If we were able to prove the resettlement of people in the Middle Ages, which it looks like, it would be very interesting in itself, "says Frolík. The scientists also surprised the results of the analysis of the remains of a woman buried probably in the 12th century in the village of Žabonosy in Cologne. Inside the grave next to her body was the most significant find - large sheepskin shears. By the way, such findings are only three in Bohemia. "We have come up with a value that has revealed that this 35- to 45-year-old woman has come from somewhere in the Mediterranean. It's a ride, here in this simple village graveyard we have someone who is really far away. It's really unusual in the Middle Ages, "adds Frolík. At present, the skeletal remains of women are in radiocarbon dating. It is this method that has already brought interesting results to more elite graves, many others could still bring. For example, the dispute over the remnants of the skeleton marked as Prince 98 buried in the middle of the Jih Basilica at the Prague Castle could finally be broken. It is attributed either to Premyslid Prince Boleslav II. or his father, Boleslav I. The latest data show that this could be just the brother and murderer of St. Wenceslas Boleslav I. A stunning conclusion was the research of the remains found in the adjacent Yuri Monastery, which were long attributed to the well-known abbess of the 10th century Young. More recently, however, anthropologists have denied this thesis, who have found it to be a much younger woman. Eventually, it was thought that it might be Princess Adive, the first wife of Prince Boleslav II. and perhaps the daughter of King Edward I. "Dating agreed - the 10th century, but the DNA analysis has now refuted our thesis as well, confirming that it is actually a guy. It was really surprising. It could be an unknown member of the Premyslid dynasty, "adds Frolík. Last edited by Waldemar; 03-08-2018 at 07:40 PM. The research project 'Lobor Early Medieval Power Center' was presented by the project leader, prof. dr. sc. Krešimir Filipec, Head of the Department for General Medieval and National Archeology, Department of Archeology at the Faculty of Philosophy, University of Zagreb with associates. The presentation was attended by Lobor local residents as well as representatives of museums. According to Dr. Krešimira Filipec, project manager, who for years with students from the Department of Archeology conducts research at the Lobbyic Historical Site, the Croatian Foundation for Science recognized their work and assigned them funds for the project of anthropological analysis of graves or skeletons. The amount of funding for four years is 569,999 kuna. A large unique number of samples, more than 1400 skeletons, was the main driver for this great research, whose main aim is archeological as well as anthropological and zooarheological analyzes to obtain images of everyday cultural habits and features of the medieval population, to determine their living and working conditions, the pathological features manifested on bone residues, or try to reconstruct their living conditions - explained the project leader. The anthropological analysis of osteological materials, along with basic physical anthropology, will now attempt to reconstruct all available skeletal parts that provide osteological measurable data: DNA, stable isotopes, and facial reconstruction. Data from Lobor will be compared with the data obtained by exploring several other late antique, outlying and semi-aristocratic sites in Croatia, based on archaeological literature and with cemeteries in neighboring areas with which these populations could communicate, for example with information provided by cemeteries from all over Europe. Simply put, a few hundred skeletons excavated from the lobster tombs will be subjected to anthropological analysis according to the latest methods, as it is done in criminology, such as CSI. We have made such an analysis on a single skeleton that was excavated in the lobby of the pre-Romanesque church at the end of the 9th or beginning of the 10th century and used us for facial reconstruction - made using a 3D computer method applied in forensics and solely on the basis of the skull - a visual view of a man who lived in that period at the lobor end, said Filipec. For the first time, there was a criminal reconstruction of the face of a man who lived in the 9th century. - Now we will do it on the 6th to 19th century skeletons so we will have a long life. We will do DNA analysis to see the kinship from where they came from, whether they lived somewhere else and just buried here, age, table, full face, their status, and all life habits. Every hair will be analyzed to see what they are suffering from, to investigate what they were eating, how much they lived, what they were doing, "Filipec said. One of the innovations will be the establishment of an antiquarium, a small virtual museum in Lobor, with the most important results of previous research. Otherwise, this week we continued the archaeological research at the lobor church on Mount Gori, the oldest marian shrine in northern Croatia under the guidance of prof. Krešimira Filipeca. Loborec found buried in the lobby of the pre-Romanesque church was aged between 30 and 34 years. He was tall for his time, he was 169 centimeters wide, his wings were strong and his shoulders were strong, and he was active - athletic. The skin, muscles, tendons, ligaments were added to the computer, while the ears and nose were statistically made with the error. By analyzing stable isotopes of carbon, nitrogen and oxygen, it was found that in his diet overprotected and chewed, and meat consumed beef, pork and mutton. He was drinking water of exceptional quality, which is not strange, since Lobor is known for its source of water. Last edited by Waldemar; 03-28-2018 at 03:47 PM. Road builders encountered a prehistoric treat during earthworks in Rewa. It turned out that the Roman Iron Age hut was revealed underground, which dates back to the first century AD. Now, archaeologists are working on the site. - It had a wooden construction, the walls and floors were covered with clay. Currently, an area of ​​5 by 2 meters has been uncovered, but everything indicates that the whole area is 10 x 10 - says Ewelina Paszke from the Kosakowo Commune Office. In addition to the Roman Iron Age cottage, other archeological gems were found. Among others ceramic materials, and in them shells beautifully decorated with solar signs and large shoulders. According to officials, currently open-pit works are carried out in this area. The age of discovered clay clay falls on the period of Roman influence. According to experts, this is the time when the Goths were traveling to the Black Sea. Similar to the revian half-heights were discovered near Kwidzyn. Cottage from 1st century in the municipality of Kosakowo, it is next to the Hunter's Castle settlement in Rzucewo, one of the oldest monuments found on the Puck soil. Last edited by Waldemar; 04-14-2018 at 07:34 AM. Any data on any of the Y-DNA data of these guys? The Viking? If he is from the North or Denmark I'd say either haplogroup I, or U106 or perhaps R1a (though I consider that a more Eastern group right?). As regards the late Roman Period and the early stage of the Migration Period (from the middle of the 3rd century to the first half of the 5th century AD), two settlements and two bi-ritual cemeteries of the Wielbark Culture were discovered. They are located on a hilltop and the settlements are separated from cemeteries by the valley with a water leak (Fig. 5C). Cemeteries are located to the north and east and settlements to the south and west (Niezabitowska-Wiśniewska, 2007, 2008, 2009, 2014b, 2015). Archaeological dates were confirmed by 14C calibrated (68.2% of probability) dates from 86-235 AD (MKL-2726) to 335-400 AD (Poz-76349). Last edited by Waldemar; 04-16-2018 at 01:07 PM. Last edited by Waldemar; 04-16-2018 at 02:16 PM. Diet often plays a vital role in defining social divisions within and between social groups and thus can be used to understand the social paradigms of archeological cultures. During the Early Avar period (568 – 630 A.D.), burial evidence indicates that there were strong demarcations of social stratification and divisions between sexes and age groups; however, the symbols of intra-population heterogeneity become increasingly rare during the Late Avar period (680 – 822 A.D.). In this study, we investigate social differences expressed through diet in the cemetery population from Nuštar, eastern Croatia (eighth to early ninth century), to determine whether dietary social disparities existed during the Late Avar period in this region. Stable isotope analysis of carbon (δ13 C) and nitrogen (δ15 N) from bone and dentine collagen shows no dietary differences, neither between high, middle, and low status individuals, nor between males, females, and juveniles. These results likely reflect the outcome of the social homogenization process that began after the failed Avar attack on Constantinople in 626 A.D. Geographical patterning is visible when the data from Nuštar is compared to data from other Middle and Late Avar sites. While Avar sites in the southern and south-eastern frontiers of the Avar qaganate do not display dietary differences between sexes, previous isotopic work on populations in Lower Austria shows that males consumed a higher proportion of animal protein than females. This is likely the result of Frankish influence and reflects diversity in social practices within the Avar qaganate itself during the Middle and Late Avar periods. Last edited by Waldemar; 04-16-2018 at 08:32 PM.